Today, we have some exciting news to share. We are happy to announce the version 3 of Kanban Tool On-Site. The new edition brings over 600 changes, including seamless time tracking, time reporting and a collection of new Power-Ups. Are you using Kanban Tool On-Site version 1.x.x or 2.x.x ? 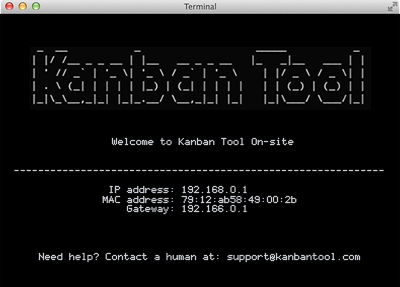 Upgrade it by following instructions on the Kanban Tool Support page. We have made the upgrade path as easy as possible and it should work flawlessly on all installations. Have you never used our on-site version before? Kanban Tool On-Site is a perfect solution if you are concerned about data security as it is fully autonomous, does not require internet connection, and allows to manage data backups according to any internal policies you may have. Find out more about it by visiting Kanban Tool On-Site.